Medical treatments are rapidly becoming more complex involving therapies with cells and genetically manipulated cells which have missing genes incorporated. The results of some of these treatments have been truly amazing, dramatically restoring functions to cells in the patient’s body that have been absent since birth. Developments in Cell & Gene Therapy are happening so quickly that the technology to support cold chain logistics is racing to keep up with new user requirements. 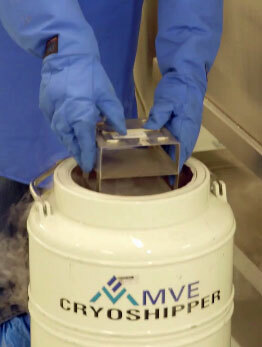 LN2 Dry Shippers, with their 10-day window at -190°C have served the industry well and proven to be extremely effective and durable for shipping cryopreserved human cells around the world. However, real-time autologous therapies requiring the transport of cooled live cells present new challenges for the logistics industry and the competent authorities guarding our borders. Cells needed for Cell & Gene Therapy can be withdrawn from a patient in one location and transported at 2-8°C to an outside laboratory for processing and following processing transported back to the hospital for re-administration to the patient. The challenge comes when the outside processing laboratory is 1,000Km away from the hospital, in a different country on a different landmass and the cells need to be delivered between locations in under 24 hours without any excursion in temperature outside the 2-8°C limits. This requires specialised temperature controlled packaging and careful planning. Apart from the technology considerations we now live in a world of increasing cross-border security where transport containers are routinely X-Rayed requiring advanced arrangements with airport security if these life-saving medicines are to be transported unaltered and don’t end up endangering the safety and lives of patients they were designed to cure. 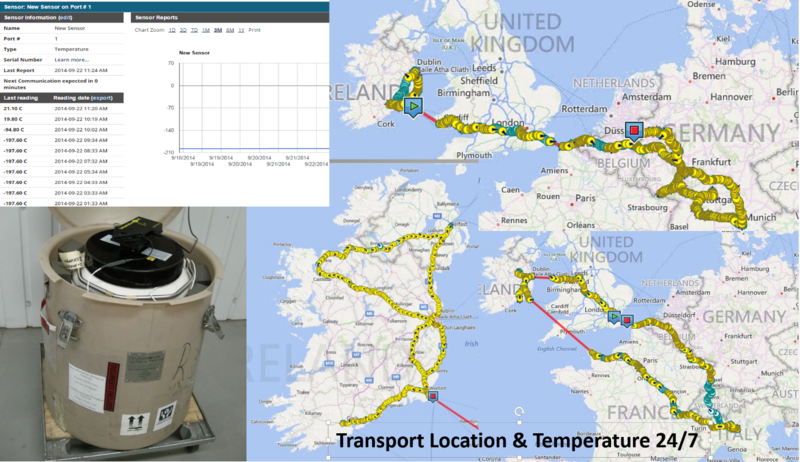 GPS Tracking and real time data visibility are already employed at Biostór Ireland for road based cryopreserved shipments of human cell therapy products throughout Europe.